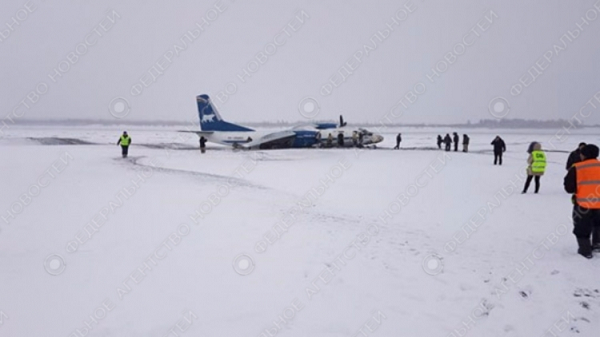 Whilst approaching Belya Gora in very low visibility conditions, the aircraft made an accidental off-airport landing ending on a frozen river. 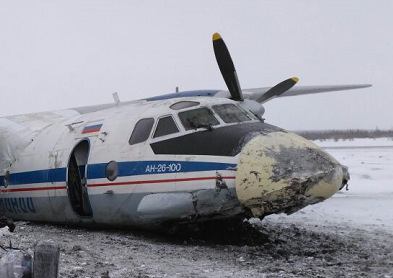 All 33 perons left the aircraft unhurt. 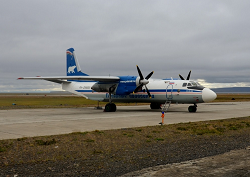 The Russian MAK published the Final Investigation Report of the accident. 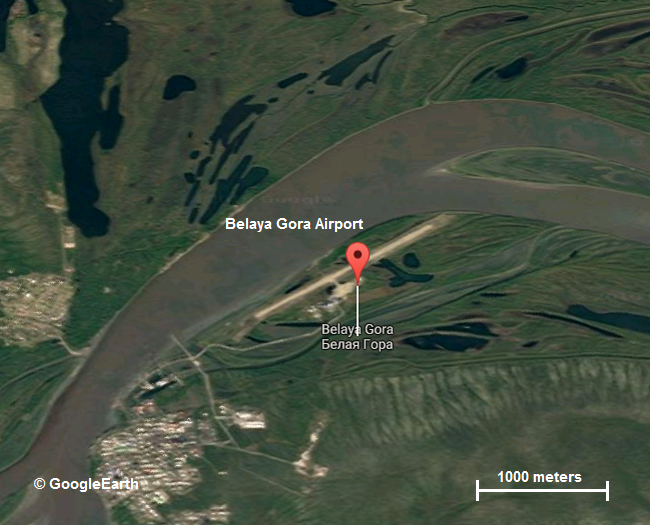 Polar Air flight 203 was approaching the small airfield of Belaya Gora, when a snowstorm was closing in. 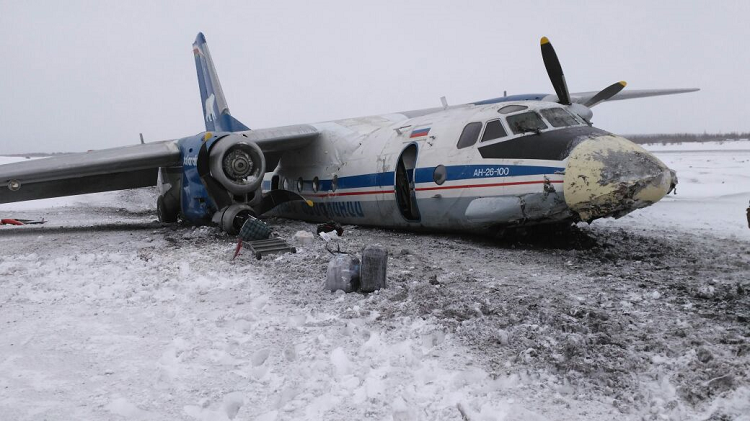 When the Antonov An-26 turned to final the weather detoriated rapidly, the visibility dropped to almost zero and intense snowfall began. It is likely the pilots lost visual referance to the runway and drifted off the final approach path. 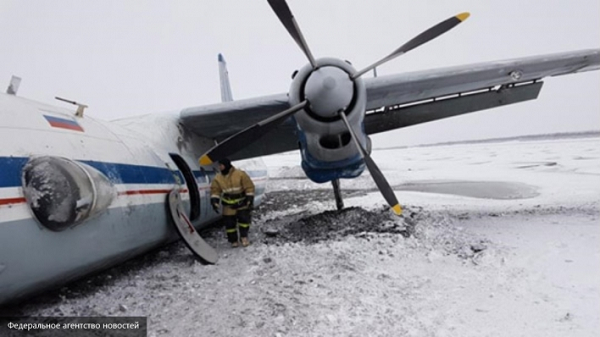 The approach was continued until the aircraft hit the ground hard, approximately 400 meters away from the runway. 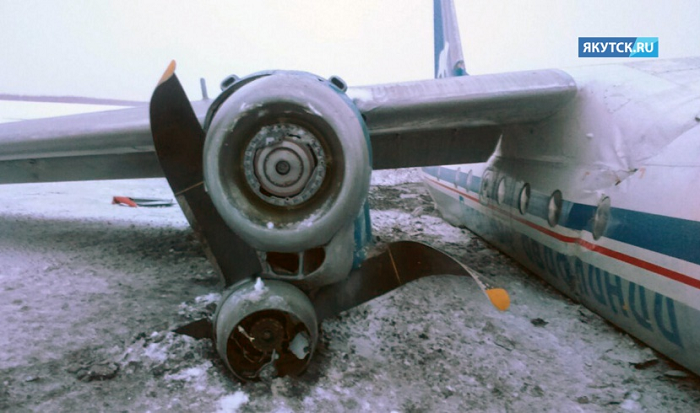 On impact the right and nose undercarriage collapsed, the nose too severe damage and the aircraft tilted to the right tearing off its right propeller. Additonaly, the foreward fuselage wrinkled just ahead of the wing root. 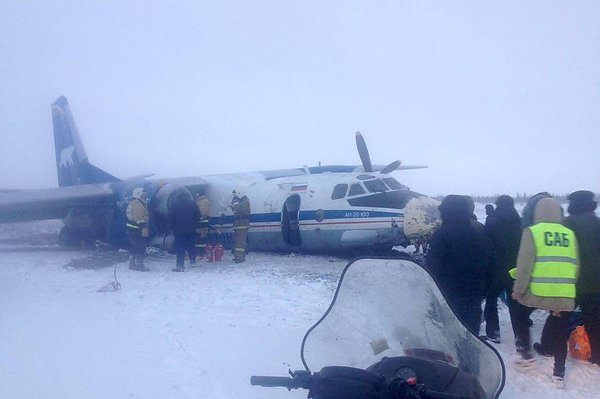 The aircraft skidded over snow covered ground untl it came to a stop on the banks of Indigirka River. All passengers and crewmembers survived with no or very minor injuries. Given the age and the condition of the aircraft is appears unlikely that the aircraft will be repaired again.